Lost and unidentifiable keys can be very frustrating. We can all use some sort of organizational solution for the various keys we have about the house. 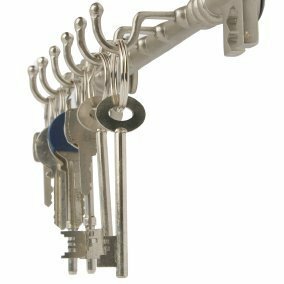 This is a guide about organizing keys. I'm looking for a good way to organize my keys. Preferably something that I can mount out of reach of children. Use a magnet strip and attach it to the freezer door. Hi, there! I have a cute key rack that I mount on the wall in the kitchen. My keys are usually to be found hanging right there. I has really helped in not having to race around the house at the last minute before having to leave the house because the keys are unavailable. If I get lazy and don't hang them up and have to go on a hunt again, I am quick to get back into the habit of hanging them again because the other way is so frustrating. You can "hang em high" to keep out of the reach of the kids. Hope this works for you! I, myself prefer small "S"-hooks... You can buy them or make them yourself out of florist or copper wire.... Hang them from a metal grid... or whatever... & never forget the ol' pegboard... you can't beat it for hanging up all KINDS of things!
! made my son a Magnetic Bulletin Board out of an Oil Drip Pan (from the auto parts store) this was fairly big... But, you can just buy a steel cookie sheet at the dollar store, & this will work just fine as a a smaller version for keys... They even sell magnetic clips at the dollar store that could go on it too! ... My son's was for hanging proofs for photos, so I covered it with 2 layers of black landscape fabric, after first spraying it with an aerosol spray-adhesive, But you could cover yours with fabric to match your decor! Recycle plastic container lids into useful key fobs. 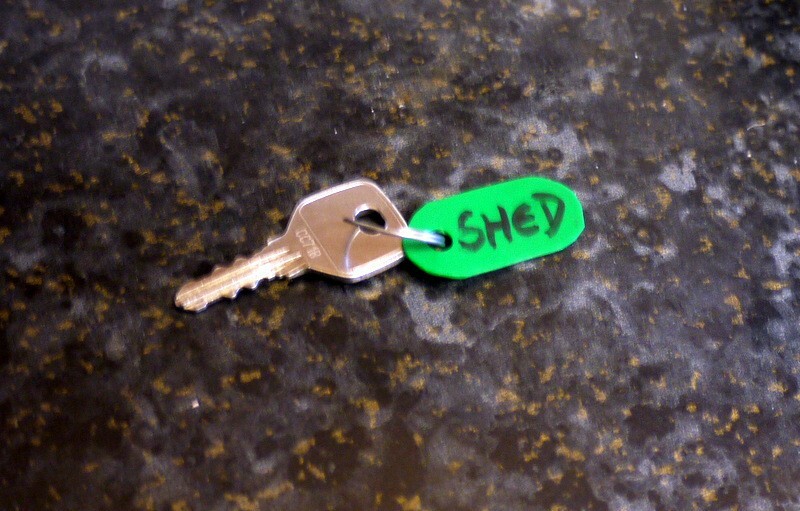 This project is easy and is a good way to label your keys. This is a guide about use plastic lids to make key fobs.